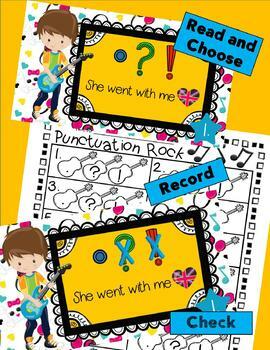 Students read a simple sentence on each slide and choose the correct punctuation needed to finish each sentence. Promote STUDENT ENGAGEMENT, DIFFERENTIATE and REDUCE PAPER use with interactive DIGITAL CENTERS. 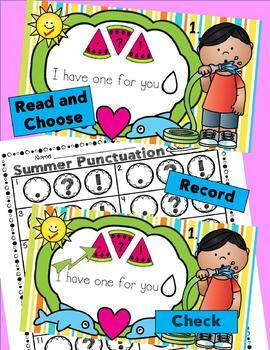 This file includes 3 PowerPoint stations to help your students master using ending punctuation. 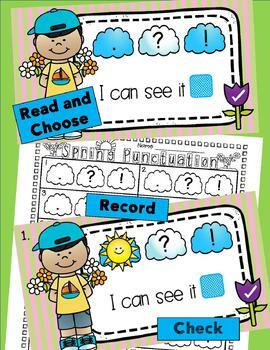 RECORDING SHEETS help hold students accountable and keep them on task. Animation within each slide show provides IMMEDIATE FEEDBACK. These PowerPoint presentations will work great for literacy stations and/or projected on your interactive whiteboard for whole and small group instruction. These stations include animation for self-checking. PowerPoint animations will not upload correctly into Google Slides. 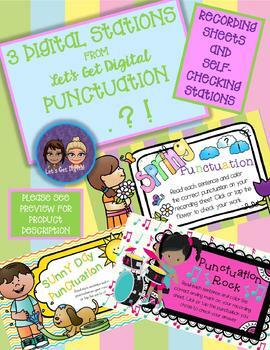 If you use Google Slides to implement digital stations, please do not purchase this product. Email questions and/or comments to letsgetdigital.tpt@gmail.com. Thanks for looking!